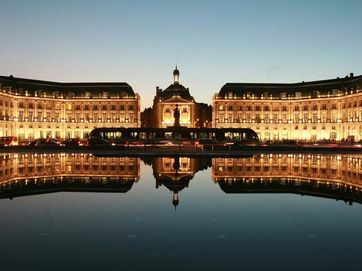 France: the land of bread, wine and cheese. 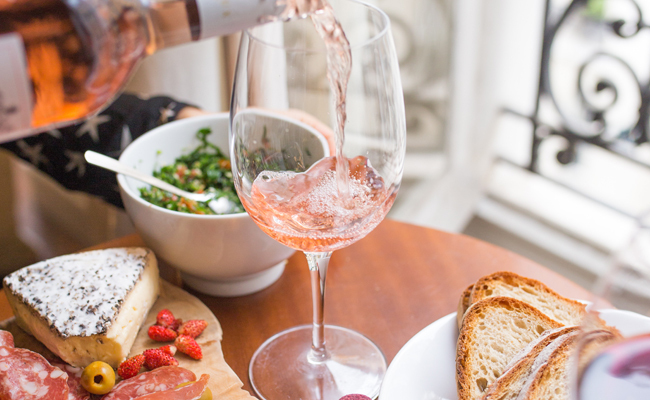 It's no coincidence that we deferred to France when it came to finding a word to describe food – cuisine – as the country has become synonymous with fine dining and luxurious wines. Over years of running our cycling tours in France as ‘a gentle pedal between meals’, we've become French cuisine aficionados. Breakfast time in France presents a tricky decision: sweet or savoury. 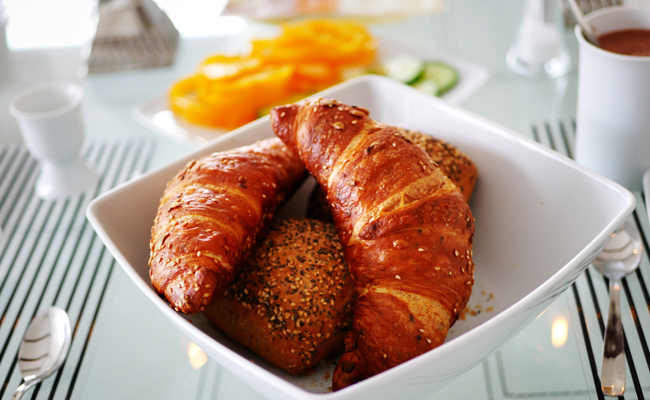 Either opt for a traditional baguette or croissant, with jam and butter optional or go all out with pain au chocolat and a collection of delicate pastries from your local patisserie. Top it off with a strong coffee, just like the locals. 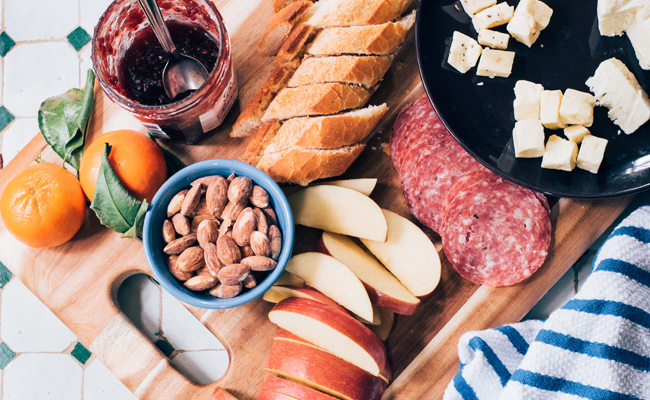 L'apéro is a timeworn European tradition involving snacks with friends before a later evening meal. Typically l’apéro includes tapenade or foie gras on toast, salmon on French bread, a charcuterie board with meat and cheese, and tiny cocktail sausages with mustard. 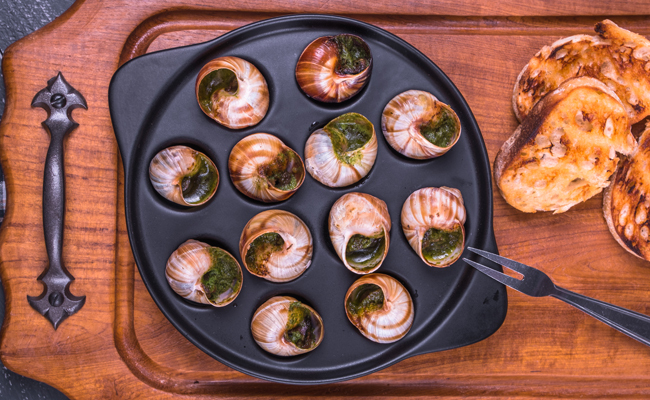 Holidays are all about new experiences, so make the most of your time away and indulge in the more unusual of France's traditional delicacies, from Fois Gras to the more exotic options on offer like frogs' legs and escargot (snails, to you and I). Preparing the latter two usually involves copious amounts of butter, garlic and parsley, to create a rich and surprisingly delicious treat. When in France, we thoroughly recommend going local. Regional varieties are exciting, rich in history and beautifully cooked by local chefs. In Burgundy, it’s mouth-watering beef bourguignon and coq au vin. When in Alsace, enjoy a fusion of French and German traditions with Flammekueche, a cheese and onion tarte, as well as their version of sauerkraut, and delicious egg noodles. In Normandy, sample creamy mussels followed by the local apple tart. 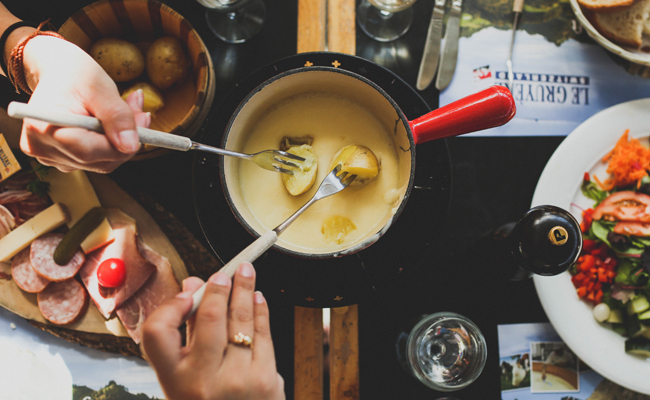 The Rhône area serves up an abundance of cheese in dishes such as fondue, raclette—melted cheese usually served with small potatoes, pickles, ham and beef—and gratin dauphinoise, aka oven-baked potatoes and crème Fraiche. The French have a whole host of treats for you to try between meals, after meals, and any time you pause to draw breath, really. 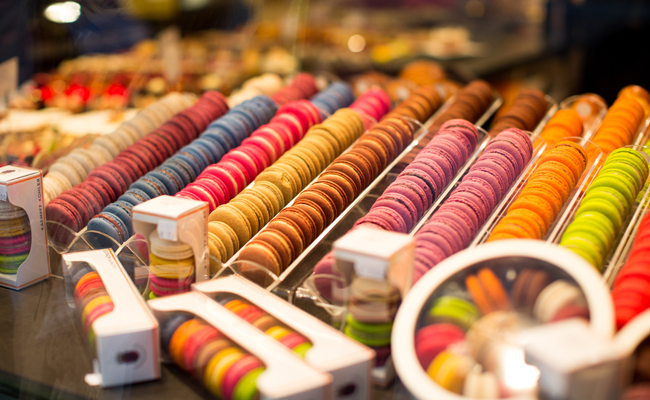 Bite-sized macarons are now trendy worldwide, but they're usually filled with fresh jam in France. Crêpes are a must-try if only to spark the age-old debate of whether sweet or savoury fillings are best. Indulge in sweet cherry clafoutis, Alsatian rhubarb tart or classic French butter biscuits, known as sablés, with your afternoon coffee. Pâtes de fruits are a sugary fruit jelly sweet which is popular around the holiday season and perfectly sized to pop in your mouth – if you have any room left, that is. Whether you're planning a long weekend or a two-week-long get-away, every meal presents a new opportunity to appreciate French culinary wizardry. 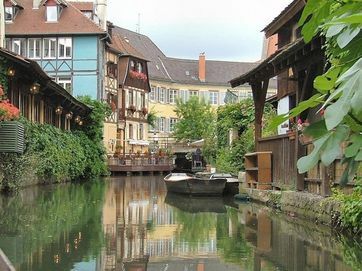 One of the most glorious things about a cycling trip through France is that you’re also following a wine trail, quite literally in the case of our Alsace Route du Vin tour. 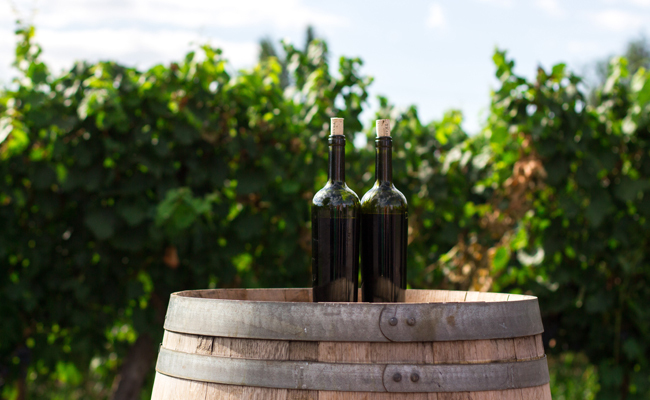 Whether it’s sweet Calvados on the coast, a crisp Riesling in the hills or the glorious array of wines to be had in the Bordeaux region, there's a local wine to complement every delicious delicacy you sample.